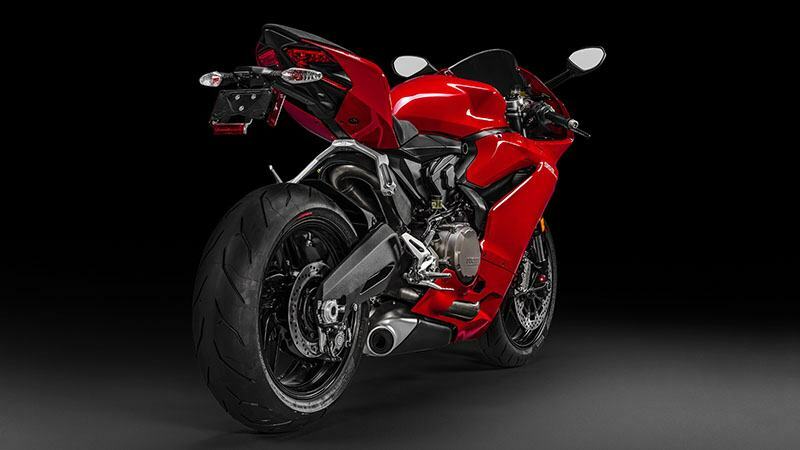 MONOCOQUE TECHNOLOLGY: The 959 Panigale's chassis follows the innovative Monoscocca concept: different components have been integrated to give shape to a single compact and lightweight element. This monocoque structure in cast aluminium for increased strength uses the Superquadro engine as a structural element, forming the motorcycle's lightweight core. The rear of the monocoque frame is fixed directly to the cylinder head, and at its front is the steering tube. In addition to performing the traditional function of a frame,the monocoque also acts as an airbox. Housed inside it, in addition to the air filter, are the throttle bodies and fuel circuit complete with injectors; and the bottom of the steel tank becomes its cover when mounted in place. 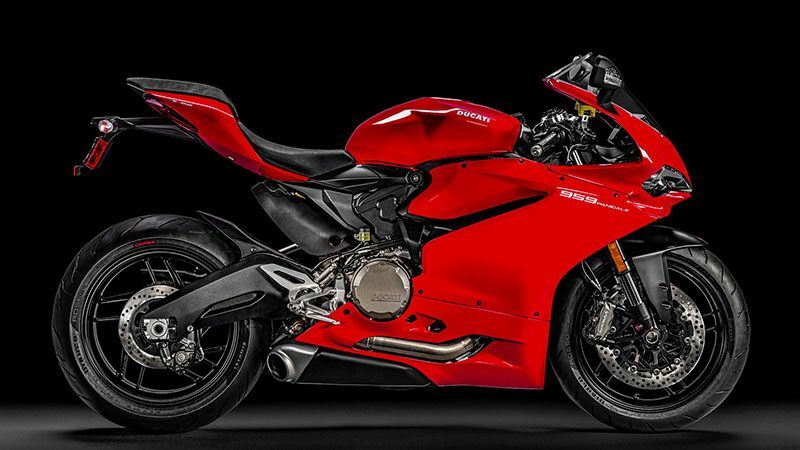 EXCHAUST SYSTEM: The 959 Panigale features a new, lateral "cannon" style exhaust with twin aluminium silencers, which complies fully with Euro 4 regulations. A stainless steel pre-silencer sits under the engine, keeping the weight of the catalyzer close to the bike's central axis for optimal handling. ERGONOMICS: The 959 Panigale has been ergonomically designed for a perfect integration between rider and motorcycle. A comfortable seat, narrow width, grippy machined footpegs, and carefully placed handlebar location provide the perfect position from which to command the bike with confidence and precise control, on the track or the street. DUCATI TRACTION CONTROL (DTC): The Ducati Traction Control (DTC) monitors control of the slipping of the rear tyre and operates on the basis of eight different levels of interaction, each of which has been programmed to respond to a different tolerance to rear slipping. Each Riding Mode is assigned a pre-set level of activation. Level 8 indicates an activation of the system at the detection of the slightest slipping, while Level 1, reserved for very expert riders, has a higher tolerance and thus a less invasive intervention of the system.